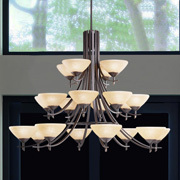 There’s no type of light fixture that offers a sense of beauty and style quite like a chandelier. 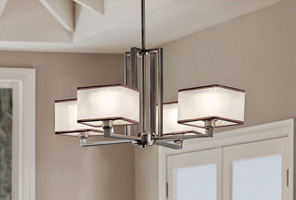 So whether you want to create an elegant focal point in your dining room, or add an outdoor chandelier to a newly-remodeled space, our experienced lighting experts at Lighting Concepts would be delighted to help you pick out the perfect chandelier. 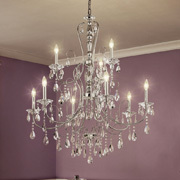 We can also help you pick out just the right accompanying lights as well, so your chandelier is the star of the show. These suspended light fixtures often hang from the ceiling using a chain, pole, or other kind of suspension mount to provide decoration and lighting for large spaces. 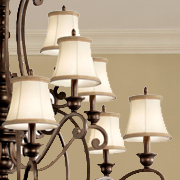 A beautiful chandelier will be the focal point of any room by enhancing the natural beauty of your interior. With the large variety of design choices and styles to choose from, you’re sure to find the perfect chandelier for your home in our lighting showroom. Drop by our Top Rated Local® lighting showroom in Trussville or schedule a comprehensive consultation today and see how Lighting Concepts can meet all your chandelier needs. What is the length and width you’re looking for? 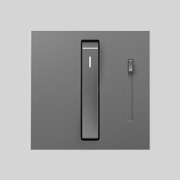 This means taking measurements. 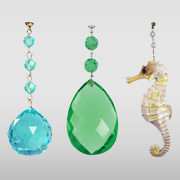 From there, it’s a lot easier to figure out how big your chandelier should be. One of the best ways to help you figure this out is to add up the room’s length and width measurements, which will give you a recommended overall diameter measurement in inches. So if your room is 20 feet by 20 feet, you’d want to get a chandelier that’s around 40 inches in diameter. What is the room’s height from floor to ceiling? For every foot of distance between ceiling and floor, we recommend two and a half inches to three inches of chandelier height. That means with a 10-foot tall ceiling, you want a chandelier that’s about 25 to 30 inches long. What if you’re hanging it about a dining room table? If you’re placing your chandelier above any sort of table, such as a dining room or even a kitchen area, you want to ensure there is enough space between the surface and the chandelier. Leaving anywhere between 30-40 inches of space is a safe bet. The actual distance will depend on the length of the chandelier and the height of the ceiling above the table. Use your best discretion. 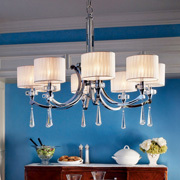 STILL NEED HELP CHOOSING THE BEST CHANDELIER FOR YOUR INDOOR OR OUTDOOR SPACE? 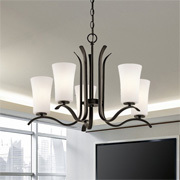 At Lighting Concepts, we offer a wide-range of chandelier lighting brands for our customers. 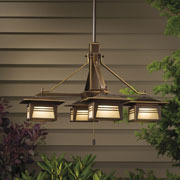 We offer the flexibility of shopping online as well as the option of stopping by our Trussville lighting warehouse. While no one knows your house quite like you, we believe an expert eye and an experienced touch can give new life to the indoor or outdoor lighting in your home. So if you’re looking to make a bold statement with the lighting design in your kitchen, dining room, entryway, outdoor space, or wherever, a chandelier provides a sense of beauty and sophistication like no other. 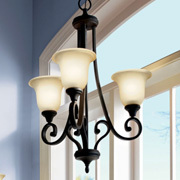 So if you’re in the market for a chandelier — or maybe a new ceiling fan or ceiling lights — call us today at 205-235-8173. 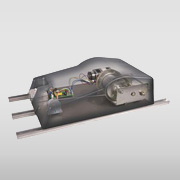 You can also fill out our online contact form, and we’ll get back to you as soon as we can.